(October 3, 2002) -- LBPD has identified a suspect (pictured, right) in the brutal August 7, 2002 murder of 20-year old Shane Dean Zotigh of LB. The crime took place in the 300 block of Lime Ave. The suspect is Toncko Jamel Williams, 22, whose last known address is in LB. He is 6'2", weighs 190 pounds, has short black hair, brown eyes and uses the moniker of "Toniro." LBPD says Williams is believed armed and dangerous. If you see him, do not attempt to encounter him. Phone 911 immediately. In an August press release, LBPD indicated at on August 7 at roughly 2:35 a.m., a 911 call reported a man shot in the 300 block of Lime Ave near the border of the 1st and 2d Council districts; LBPD responded and found Mr. Zotigh shot in the torso inside an apartment. He was taken to a local hospital where he died of his wounds. In a release issued at the time, police said they believed Mr. Zotigh was walking with a male friend when they were approached by an unknown number of male Black suspects who shot him and ran from the area. Mr. Zotigh entered a nearby friend's apartment and collapsed. 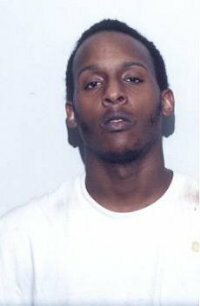 Police told LBReport.com that one suspect is already in custody...but Toncko Williams is still on the loose. Anyone with information about this crime or the whereabouts of suspect Toncko Williams is urged to call LBPD by dialing 911 or contacting Homicide Detectives Steve Smith or Hector Nieves at (562) 570-7244.